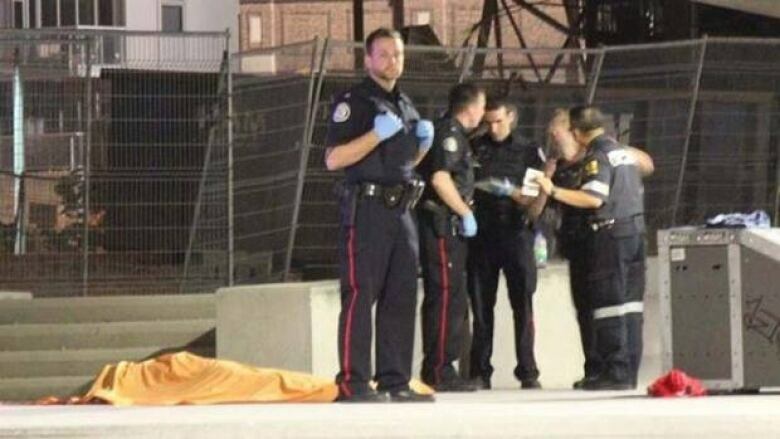 Police are investigation a death at one of the city's newest parks near the Don Valley Parkway after a man was killed Sunday night when he fell off a BIXI bike and hit his head. A group of at least six friends, all on BIXI bikes, were riding in the skateboard side of Underpass Park near River Street and King Street. Police said the man, whose name and age have not been released, was trying to perform tricks and was not wearing a helmet before he fell. Paramedics arrived to find the man without vital signs and suffering from head trauma. They attempted to perform CPR before the man was pronounced dead on scene. Police are calling it a death by misadventure. The man's friends, who appeared shocked and distraught, were taken to 51 Division for further questioning.